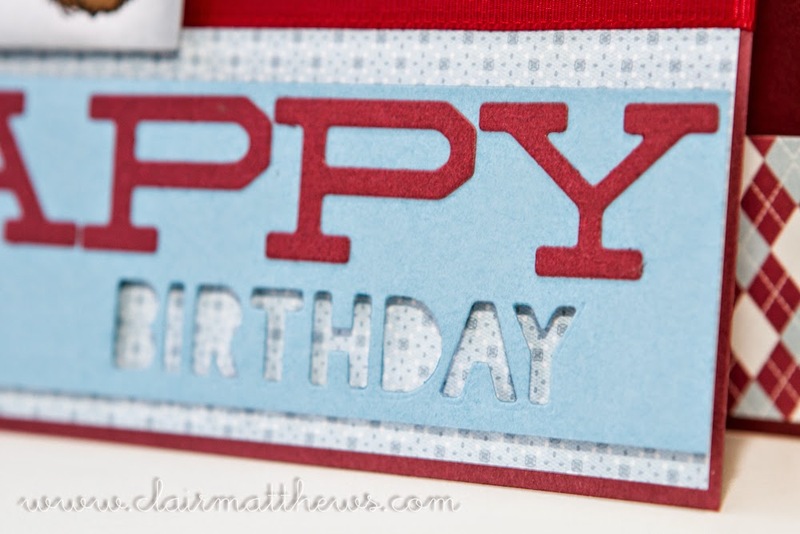 Clair Matthews: Workshop project 22.01.15..
..here's this weeks workshop card..
..the backing papers are from NITWITS 'Gentlemen folk' collection. 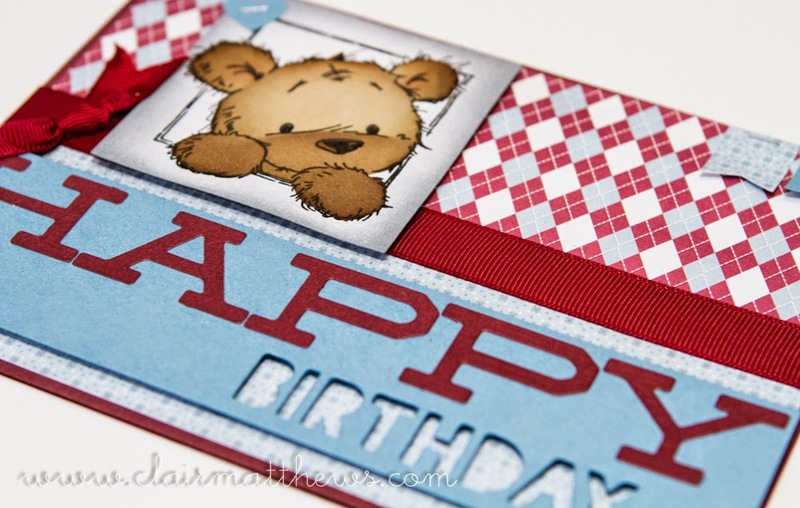 ..the alpha dies are MFT & the birthday word die is Little B. 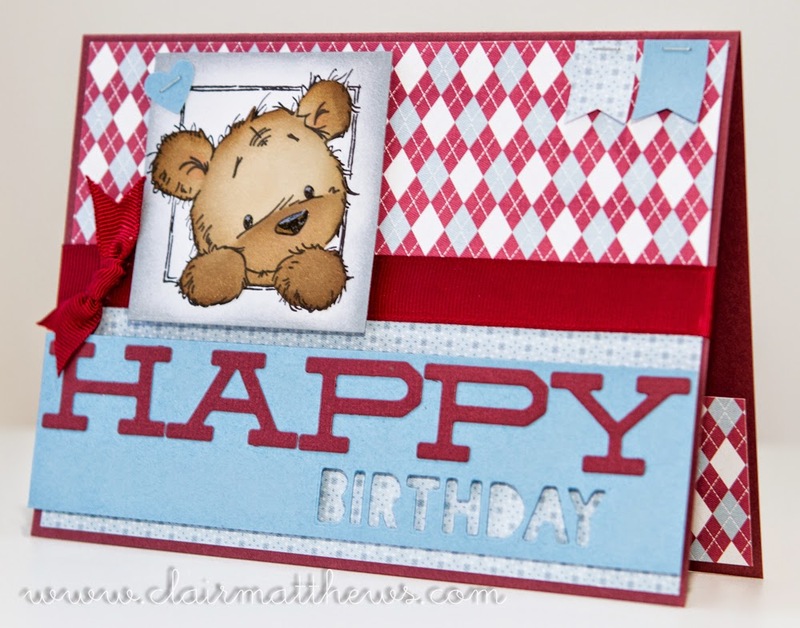 This is gorgeous Clair, I like the sweet bear and the design. 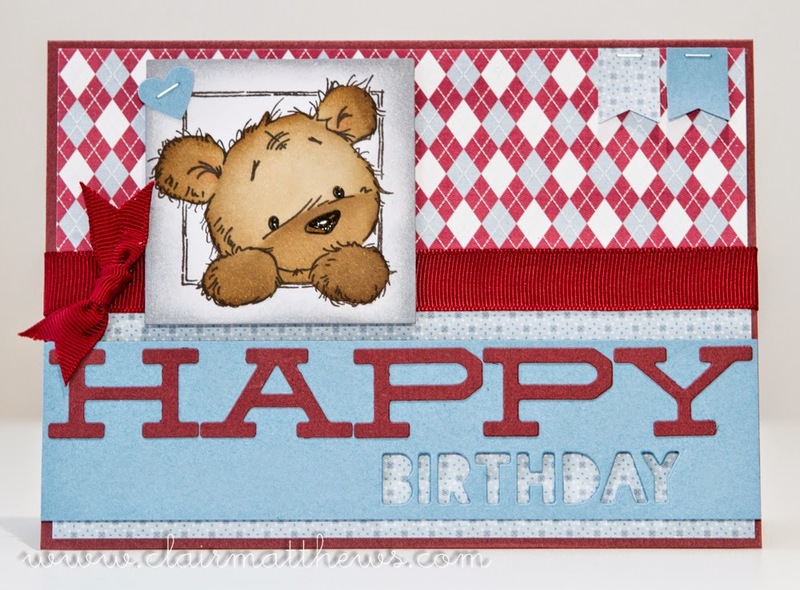 Great card, Clair - love that layout and how you did the sentiment!